Children need to consume healthy food consisting of fruits, vegetables, healthy fats and protein. It’s extremely important for their brain development and physical growth, according to the American Association of Pediatrics. But one in five children in America are considered to be obese (according to the Centers for Disease Control). Two of the culprits of child obesity are too much sugar and solid fats. Sugar is prevalent in almost everything these days: juice boxes, snacks, and even milk. Too much sugar can lead to liver damage, obesity-related cancers, dental issues and is even linked to hyperactivity and inattention. Public health researchers and organizations like the American Association of Pediatrics agree that children should not consume fruit juice and instead eat fresh fruit. Solid fats are usually found in desserts, fried foods, and cheeses. Too much “bad” fat can cause kids to have a greater risk of heart disease, high blood pressure and diabetes in adulthood. 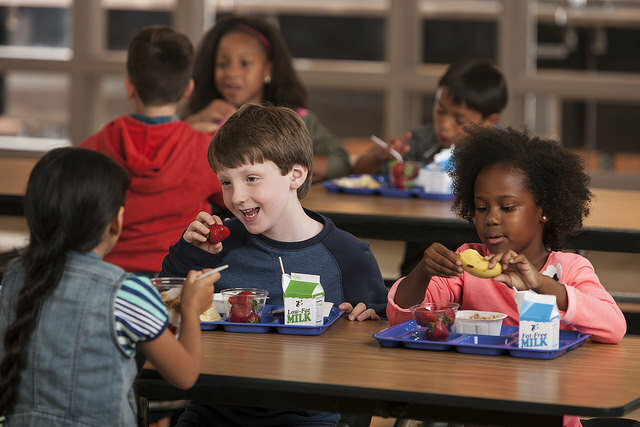 Some school districts including LAUSD, the second largest district in the U.S., have been working hard to reduce fats and sugars in foods by revamping their menus to include fresh and healthy options for kids. And there are recently updated state and federal nutritional guidelines for public schools that require less sugar and fats. So, what happens when kids are finished with their school day? If they have working parents, they might go to an after school program or childcare center where they do their homework, play with friends and eat a snack. But what kind of snacks are they getting? My 2019 California Fellowship project will examine what kind of state and federal nutritional regulations and guidelines are in place for after school programs and child care centers. I'll also examine why there could be discrepancies between nutritional regulations between these care centers—whether due to socioeconomic disparity or geographical location.